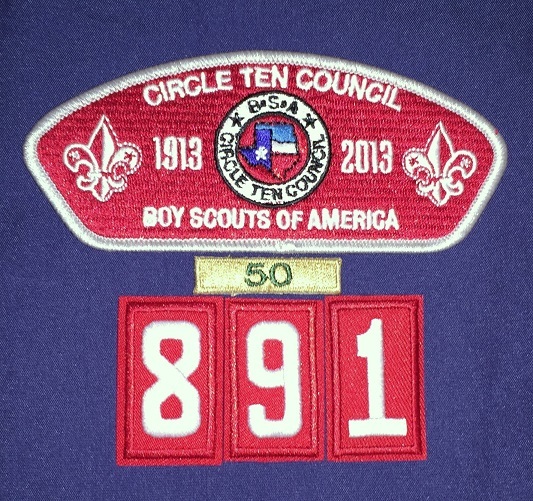 Founded in 1961, the same year as White Rock Elementary, Pack 891 has been an active participant in the Lake Highlands community. We serve families from White Rock Elementary, White Rock North School, Northlake Elementary, and Wallace Elementary. Our focus is on being active and having fun. Our cub scouts are very busy, so we strive to provide age-appropriate activities in a relaxed, casual atmosphere. Whether its rock climbing, bowling, ice skating, or spending a night at the Perot Mueseum, we uphold the Cub Scout motto "Do Your Best". Of course we like to camp. We have one family campout in the Fall and one in the Spring. We also partcipate in Council and District Events like Parent and Pal weekend. Our volunteer program includes maintaining the White Rock Elementary School Garden. Cub Scouts start as early as First grade and go through Fifth grade. Boys can start at any time.